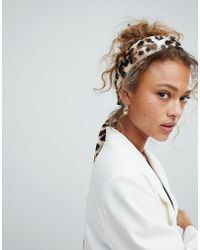 ASOS was established over a decade ago and is a British fashion brand with a serious sense of style. 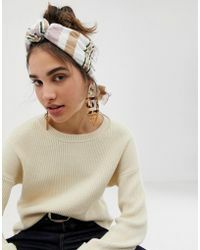 The trend driven looks are influenced by everything from streetwear to celebrity styling and the range of different lines is broad with maternity, petite and plus size options in everything from trousers and tops to dresses and skirts. 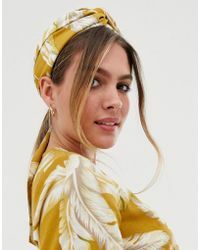 The hair range from ASOS is exciting and inventive, with headscarves, flower crowns and Alice bands all part of the line. 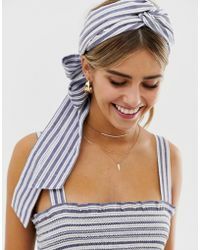 There are turbans, hair crowns and jeweled headbands available, as well as novelty items like Halloween devil horn hairclips and cat ear headbands. 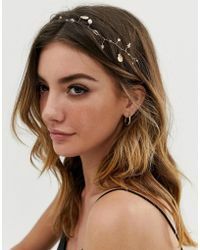 The line also includes hair clips, from Kirby grips through to pretty flower designs.